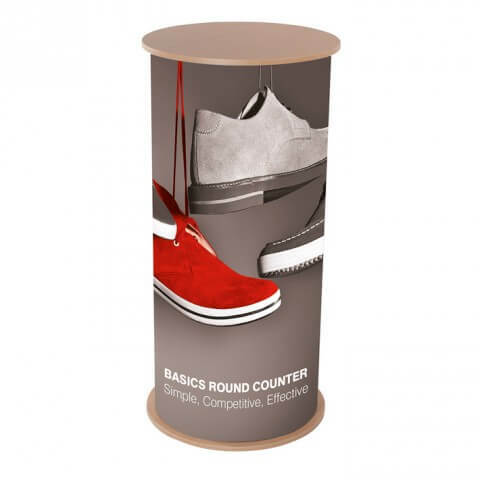 This round Display Plinth is ideal for product display. 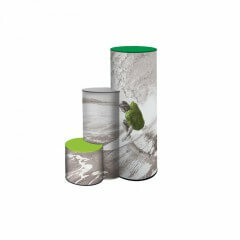 Available in a range of fabric wraps (see swatch) and also with Beech or Aluminium finish tambour wraps (think roll-top desk) at additional cost. Alternatively a full colour graphic can be attached (also at additional cost). 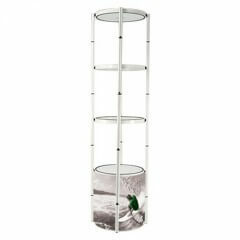 Graphic units incorporate a unique Twist & Lock pole system to create an internal structure that strengthens the unit without the need for a tambour wrap. 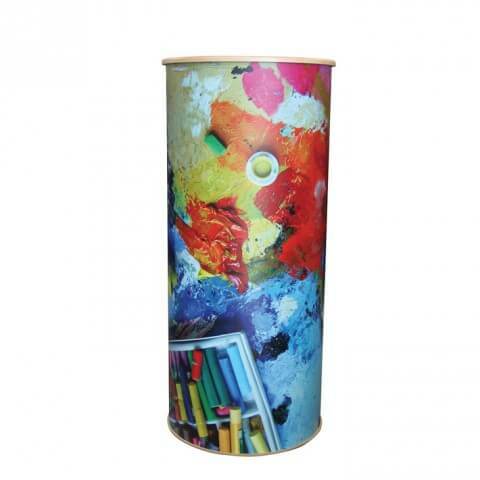 This allows graphic wraps to be applied directly, creating a clean, professional finish. 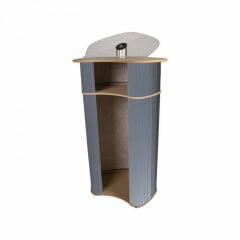 As there is no need for tambour, the unit is also lighter and more portable. Freestyle units are heavier but are load-bearing up to 75Kg. Both types of unit pack into an over-the-shoulder carry bag. 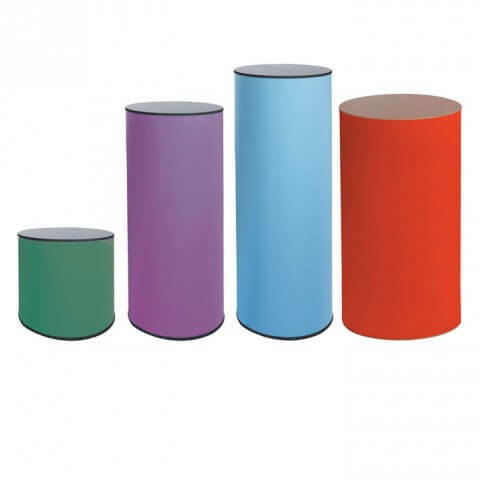 Freestyle units are constructed from composite materials and flexible MDF tambour; giving them strength and durability, so they can be re-used many times. 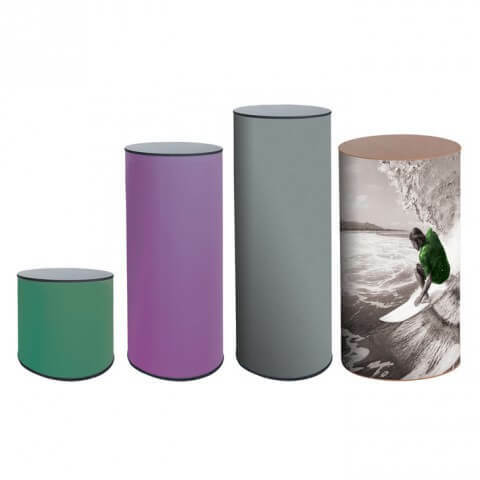 Tambour wraps are finished in a choice of coloured fabric colouring; alternatively Beech and Aluminium tambour wraps available at additional cost. Freestyle units are load bearing up to 75kgs. 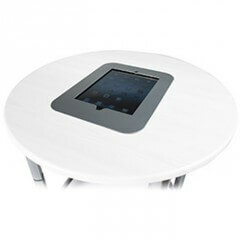 Flush-mounted secure iPad holder in a white top. £285.00 need help? contact us!